Even Snapchat is fading away just like the snaps posted on it. 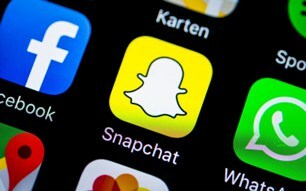 There are numerous ways in which the app breaches privacy of its user and the recent Snap Maps is contributing towards it. 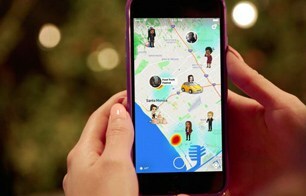 Snap Maps put the users and their snaps on a map in real-time. This helps their friends to know where they are and what are they up to. Although you can select who you want to share your locations with, the app saves it as default after first use. Each time you post a snap, it would be dropped on the map and available for everyone you have selected. This is the cause of worry. The snaps give away a precise location, and an unintended person may see it. A heaven for stalkers! If not careful, someone can map out your home, your hanging spots, your workplace, and your (approximate) schedule. This setting is not available on a per-snap basis, and you need to review it at regular intervals. There is a possibility that over the time you may have un-friended someone and won’t want them to see the map anymore. So, how to delete a Snapchat photo? It is not possible once you have sent it on a chat and the recipient has received it. You can remove photos from your side, but you can’t be sure they aren’t available anywhere now. The recipients, by the way, lose the media if they clear the cache by apps such as Clean Master. Saving the images – Although the posts are meant to disappear, it does not always happen so. The recipients with proper knowledge can save the images and videos. There are apps and services to do so and that too, without your consent. Even if the snaps are not downloaded, a user can always take a screenshot and keep them for future records. Location sharing – The app doesn’t share location with the pics, but it does collect data related to the device. These include the device’s location information, and Snapchat used to share them to third-party for detailed analysis and trends. Collecting contact information – If you have used the find friends feature, you have let it access to your contacts. You can never be sure, what all information, company has stored from your address book. 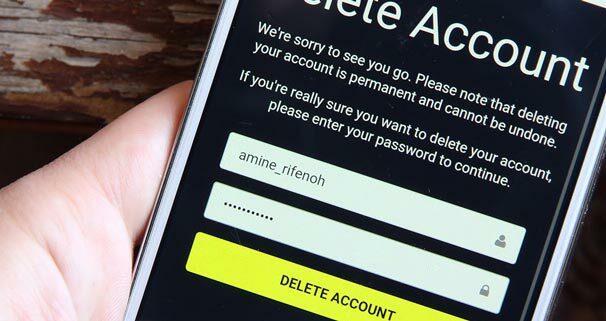 If you too worry about privacy on Snapchat, delete account. 1. 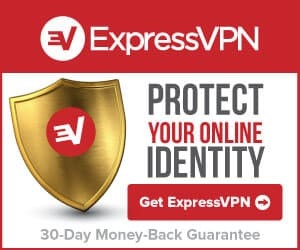 Visit the page accounts.snapchat.com/accounts/delete_account on a browser. 2. Log in using your Snapchat details. 3. Tick the captcha box to prove you are not a robot. 5. You will see the “Account Deactivated” page and also get an email confirming the deactivation. Had all done? Uninstall the app now. Upon deactivation, your profile is off-the-grid, and no one can contact you there. You get another 30 days before Snapchat deletes your account forever. But how do you know if someone deleted their Snapchat account? Well, their profile is no longer visible, and you won’t be able to search them if someone has deleted their profile. The same happens when they have blocked you. If you are confident they have not blocked you and still you can’t see their profile, they are gone from Snapchat. The only way to confirm this is to make a new account and search for them. Back to the topic, in case you’ve changed your mind, you can activate your profile within 30 days of deactivation and no later. Read further to know the process. You get a month between account deactivation and its deletion to get your account back. 1. Log into your account on the app. Even if you haven’t logged out from the app after deactivation and haven’t uninstalled it, you are asked to log in again. 2. If 30-days grace period isn’t over, your old credentials should still work. 3. The app displays a message asking if you want to reactivate your account. Tap “Yes” there. 4. The process starts, and you get an email when Snapchat reactivates your account and is ready to use. 5. Log in to the app, and you may find everything as you left it. Now you’ve deleted you Snapchat account why not delete Facebook and Pinterest forever?